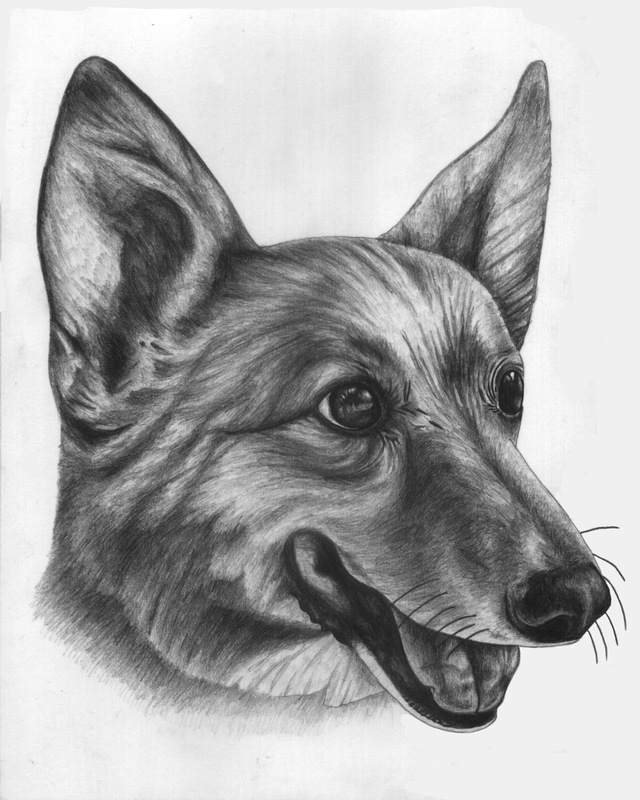 I have finished the corgi memorial portrait of Iris. I had drawn this on a 8" x 10" paper as it was requested. I don't normally draw at this size for portraits but it turned out great. Rest in peace Iris. 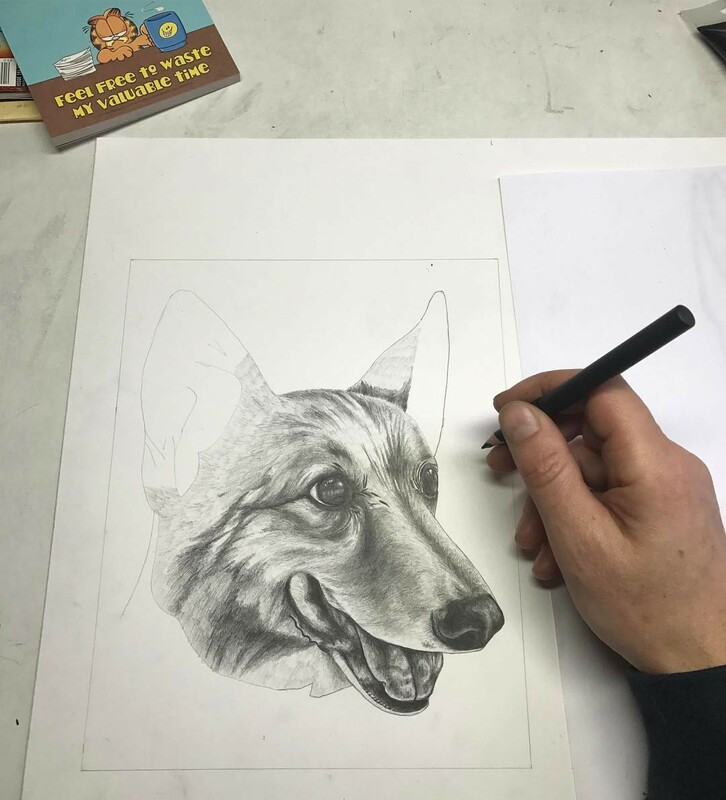 I'm getting some work in on this corgi memorial portrait this morning. 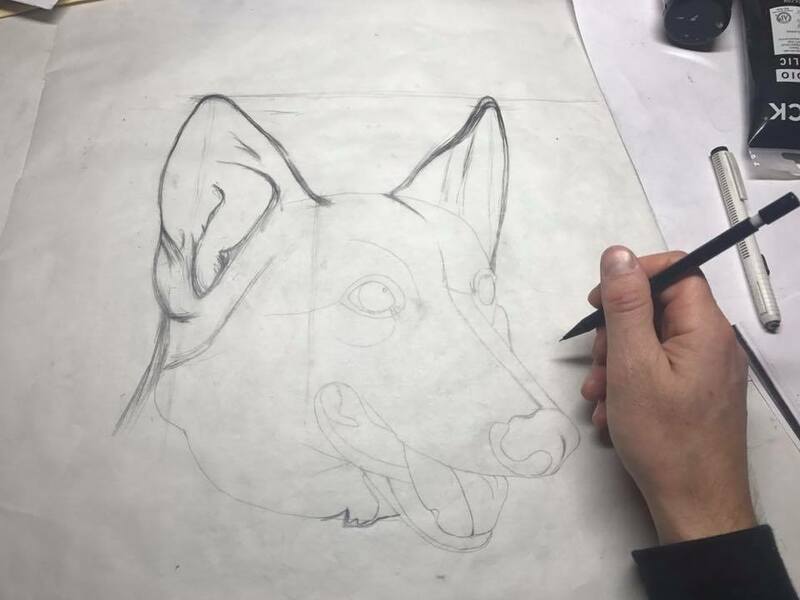 Having a new dog that my wife and I recently adopted has made it a bit tougher to make time to draw. Things are starting to settle down and get more normal though. And now back to drawing time! 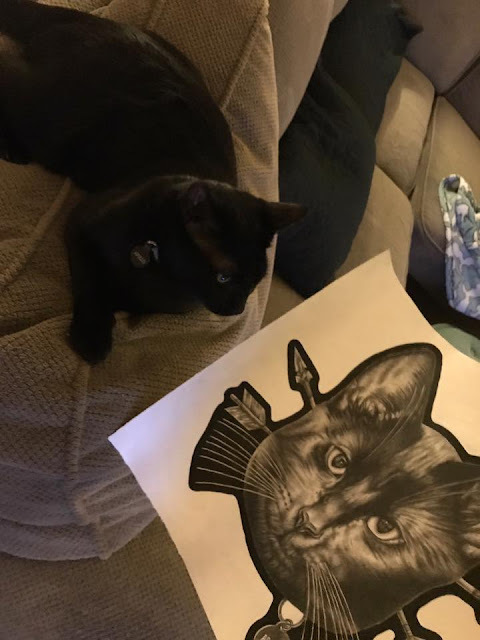 I received this picture of Apollo and his portrait next to him. Looking good! I really enjoy these pictures people send me of their pet and their pet's portrait next to them. Corgi on the drawing table. 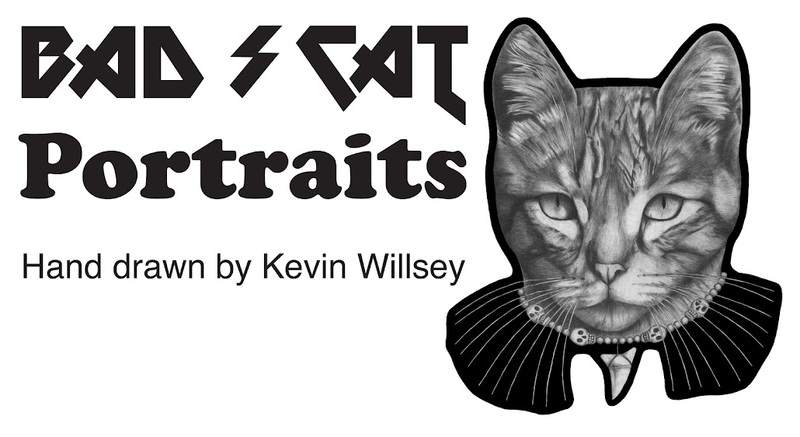 There is a new member to the Bad Cat Portrait family! Welcome Maximus! My wife and I recently adopted him. Max had to overcome a set back as he just got introduced to his new home. He got pneumonia and had to spend 2 days in the hospital to receive urgent care. I'm happy to say Max is back home! He is doing much better and is recovering. It is great joy to have Max home. This is Apollo! 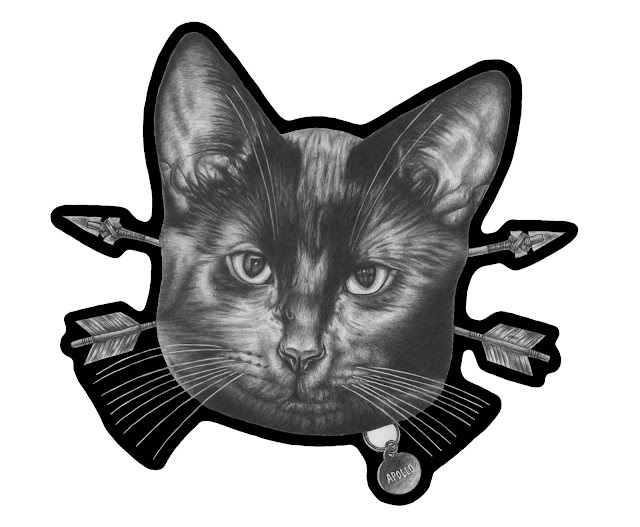 This cat lives in Stockton, California. Oh yeah! Apollo is on the drawing table. 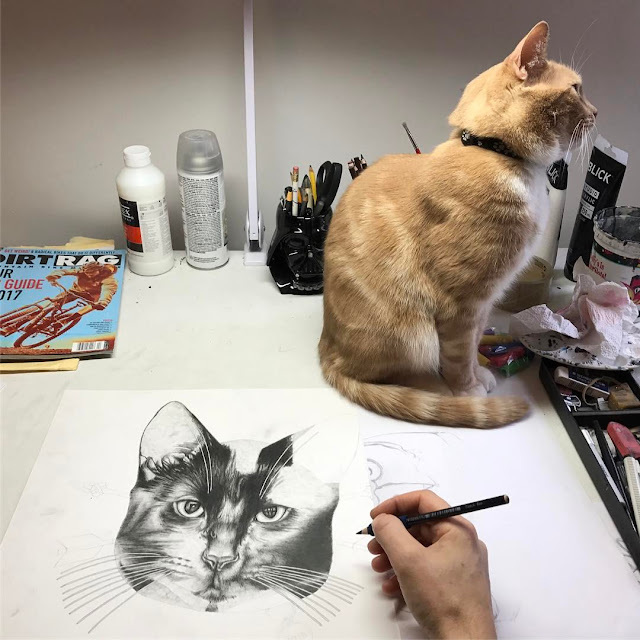 Apollo is on the drawing table and Frankie watches the snow fall. Frankie got on the window sill and reached up to try to catch the snow flakes. I'll have to put Frankie in the cat harness and take him out on the back deck in the snow. I'm sure he will not care for it much and want right back in. 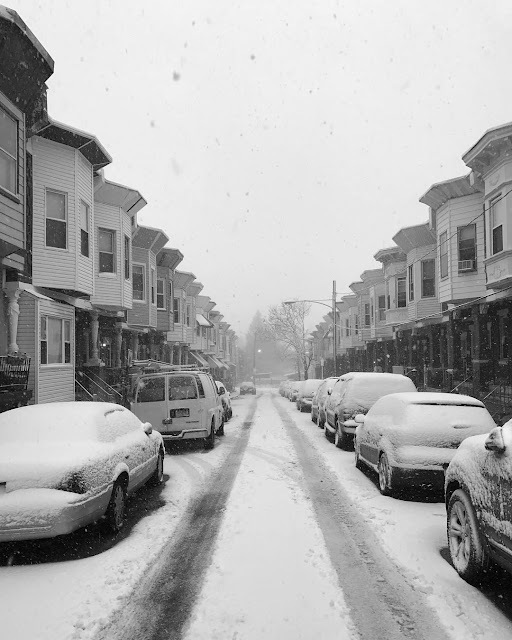 It's snowing out today. So, it's a drawing day for me. I'll be working on Apollo's cat portrait. Found this guy in the cat shelter this morning. I guess I've been helping more than just alley cats. Turns out, cats and raccoons don't bother each other. This raccoon has been making good use of the cat shelter for awhile I suspect and eating the cat food. It's all good though. 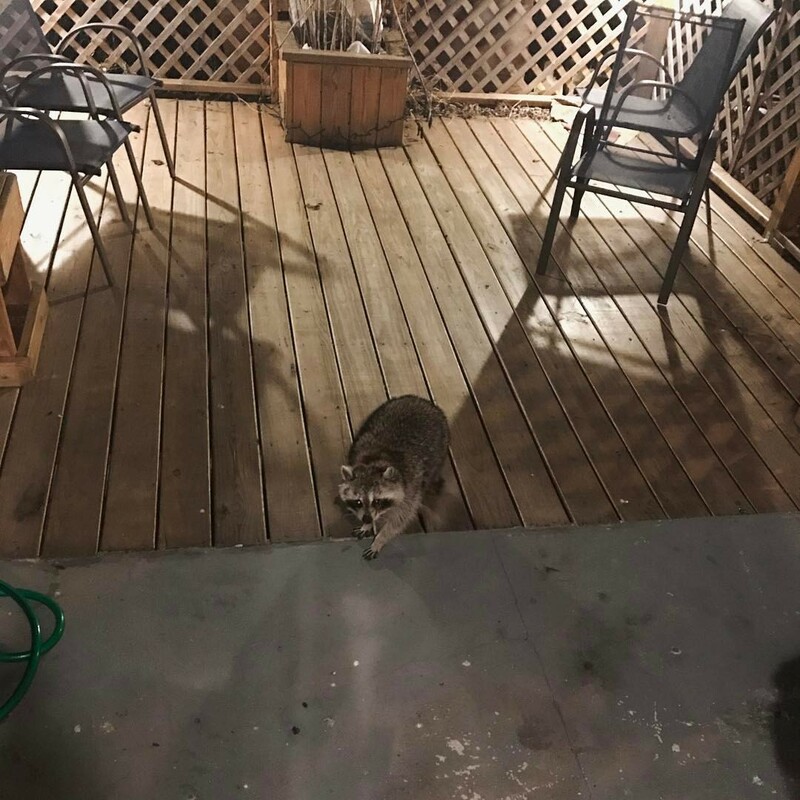 I've always wanted a raccoon! I have seen a family of them out there before. The alley cats and raccoons don't seem to mind each other. I've seen them just walk by each other no problem. They may even eat together for all I know. My back deck is pretty great! Friends are awesome! I made a few trades with a my "Pet Heads" zine to a few talented buddies. Oh yeah! 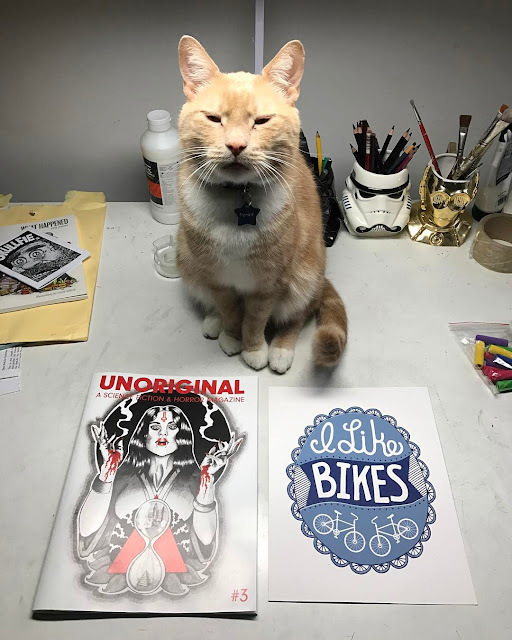 Frankie approves!!! Go check out my buddies. Unoriginal and Exit343design are GOOD STUFF! 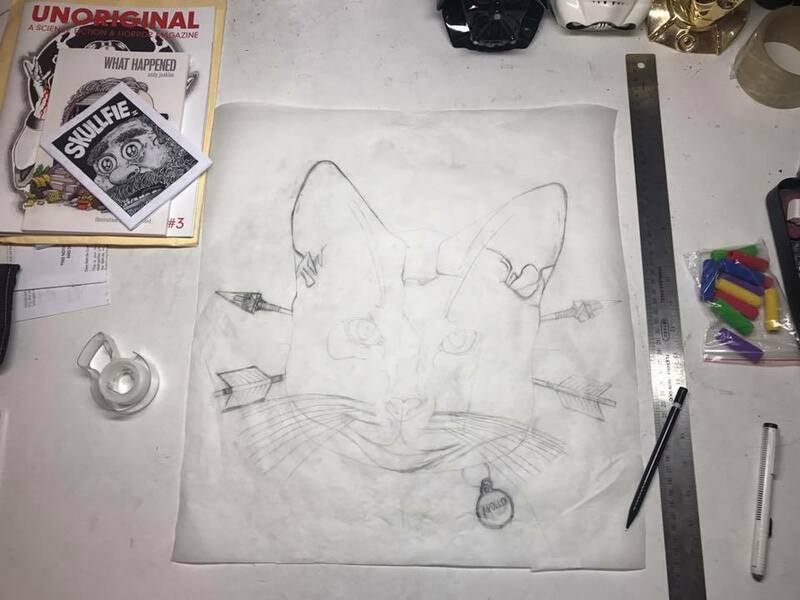 I'm in sketch mode with a new cat portrait. In the mix is Apollo. This cat is from the west coast, Stockton, California.